There are no 10Hz notes in 'normal' music that I'm aware of. I suppose there could be bass sub-harmonics, but what speaker could reproduce them and would they be present in recordings anyway. Obviously a synthesiser could create a tone that low, but would anybody hear it? The usual lower limit of hearing is reckoned to be 20Hz, with some apparently able to hear down to 15Hz. I have experienced bass that could be felt, but not heard as such. Some very big Cerwin Vega speakers demonstrated this for me many years ago. I can bang a 10Hz tone into my speakers and it will drive the bass panels bats in terms of excursion. I can definitely hear it. Also I have had an ML Descent sub. Could hear it on that too. That said, both make non-10Hz noises when you do it. You could hear the rubber surrounds of the drive units in the Descent making noises due to large excursion. Like a rubbing noise. I accept I could be wrong and have questioned it myself. I came to the conclusion I can hear 10Hz. I will try 10Hz into the Sony's tonight. they may well improve with use. a lot of cans sound crap initially, although not all. Bear in mind that bass harmonics can 'fool' the mind into seemingly sensing fundamentals. In other words, what you are hearing is not the actual low note, but a harmonic thrown off by it. I think the real difficulty in the 10Hz test is finding a transducer that can give you purely 10Hz and nothing else. Used an Android app called Neutraliser to sort these cans out. Well worth trying very quick and simple to sort out cans with a naff frequency response. The idea is to keep both for two weeks and see which ones are the least worse, then sell the worst. The non-equalised sound of the Bose is definitely more accurate than the Sony's, which is so far off flat in beggars belief IMHO. The Bose are still bass rich, but no where near as off as the Sony's, and they also have some high frequency content rather than rolling off up top like the Sony. The Neutraliser app just stopped working. Tried a few other equalisers and they were all duff too, in one way or another. If anyone knows a good 10 band equaliser for Android please chime in. 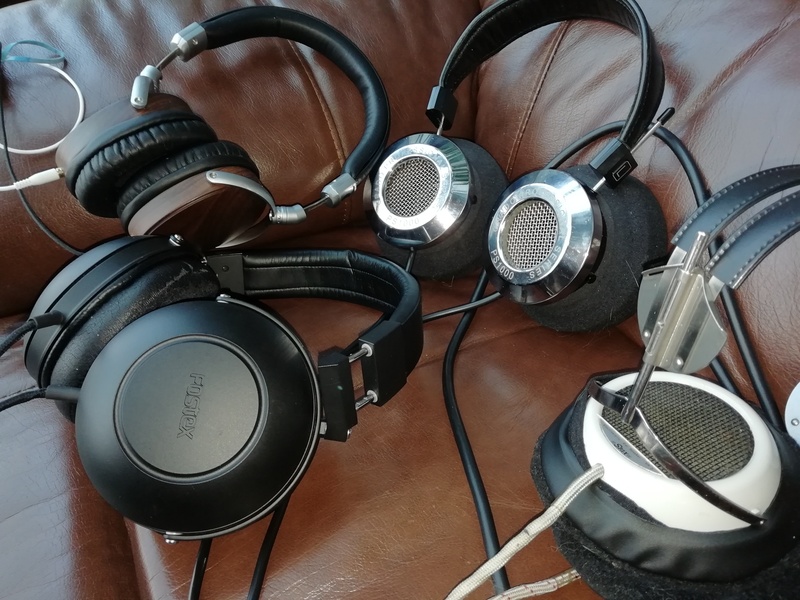 I've been increasingly into headphones for the last 2 or 3 years and have been investigating the various technologies and makes. It's the wife's fault - she's a late riser and I'm an early one. And being unwilling to wait to start the music until 11-ish when she gets up headphones are the logical way to go. I guess the leader of the pack are Grado PS1000. Very clean and open and detailed and dynamic. They also cost the most, which is a bit of a disappointment! They do suffer a little from the distinctive Grado Treble, which is a little on the enthusiastic side for my tastes, but some careful fettling (cable choice is important here) and they are just fine and dandy. Stax SR3 electrostatics live in the conservatory along, usually, with the Fostex TH600. The Stax are awesome for transparency, but can't really be regarded as all-rounders as they do lack heft in the bass and rather water down big dynamic swings when they can get a bit strident. Still great fun to listen to on a lot of material, though. The Fostex TH600 are marvellous for when closed-back is necessary (the Grados and Stax leak an amazing amount of sound). 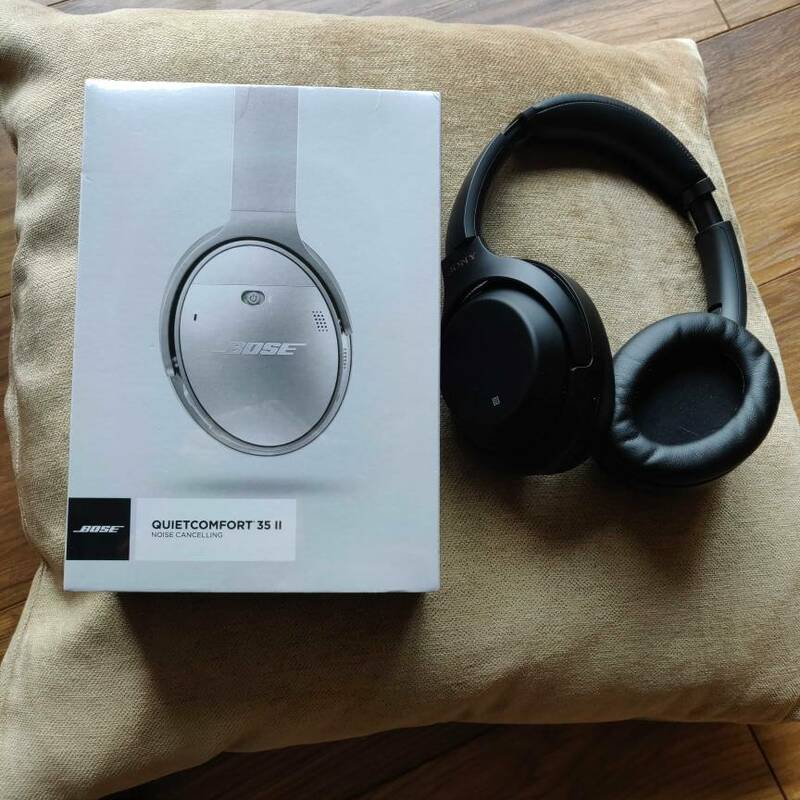 I got them after owning and liking Fostex T50RPmk3, similar sound but even better. And finally Even H1. These have settled in the bedroom, fed by a portable CD player! They have a little in-line widget which provides a hearing test and corrective DSP. You press the button and a series of 8 music tones are played at increasing volume. You press the button again when you can hear each one. This is done for left and right. Works well, but they do like to add a bit of extra bass. A pleasant listen. They may become increasingly useful as the years go by. I've tried various planar magnetic from Audeze and Hifiman. But have come to the conclusion that they are not for me - I almost always hear a layer of "smooth" that comes between me and the music. Some people love them, but I miss the final layer of dynamic resolution. In the main system, usually with the Grado PS1000 I use a Lehmann Black Cube Linear headphone amp which I am very pleased with. The Stax (which require a pukka power amp) are fed from a Topping VX1 (25wpc). They all look interesting in their own way Jerry . All appear to have different requirements in terms of what's driving them . I'm not at all surprised. As you've found, they have a tendency to punt well thought of and more expensive headphones into the long grass.